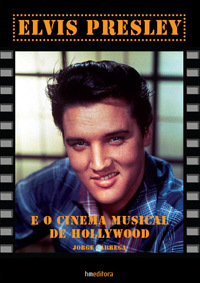 HM Editora will release the first portuguese book on Elvis' movies entitled Elvis Presley e o Cinema Musical de Hollywood later this June. The book is written by Jorge Carrega, who wrote it originally as a thesis for his master degree in film and literature. The book has 132 pages, a preface by Professora Mirian Tavares of the University of the Algarve, and 32 b&w and color photos, plus a complethe Elvis DVDguide-filmography.